Manufacturing’s next High Tech Tool…The video camera! ﻿﻿​﻿Today manufacturing operations are innovative masterpieces. Engineers and machinists are working together to make manufacturing shops clean, well-lighted environments brimming with advances in modern tooling and design. These advances include…CNC machining technology…3D printing…computer assisted design and the video camera…The VIDEO CAMERA? … Yes, the video camera! More specifically “video communications.” While it will never be confused with a 5-axis milling machine or an injection molding machine video is a tool that holds its own in regard to adding value within a manufacturing operation. It is a communications tool that is primed to deliver key messages to staff and customers alike. Below are three areas where I have found video communications to be beneficial in relation to manufacturing. If you have staff, you have a need for training and continuous improvement. That training is likely best handled through “hands-on” instruction. When such instruction is not possible for reasons including limited availability of training staff an effective alternative is video based training. Video based training can be used as a self-serve resource that can be shared online or through a company intranet or even DVDs. Such a resource can be used for primary training or when workers need a refresher on a process. As impressive and as cool as your manufacturing operation is, who knows about it outside of your company? A brief customer facing video highlighting how your innovations make for a better product may serve as a big advantage over competitors! When customers visit your website, reward them with a peek into the innovations you have put in place to benefit them! From machine safety to fire and alarm safety there are crucial messages that must be communicated to every worker in the shop or office. Creating a safety video can be an easy and effective way to educate staff on proper procedures related to their well-being. Videos of this type can be used when on-boarding new workers or when new policies are developed. Such videos can also help support state and federal government safety regulations. If your organization is interested in communicating through video, I encourage you to touch base with a professional for initial guidance on leveraging this powerful resource. With a video camera, editing equipment and knowledge, video communications may become the most versatile tool in your operation next to that automated 5-axis mill! Click to See this Article on The HGR Industrial Surplus Blog! Technology is connecting us digitally more than at any point before. We get news online, we shop online, we work online and we connect with distant family online.The power of the internet, smartphones, tablets and so on is undeniable. These things keep us connected wherever we are; home, work, school or in the car. Facebook - A social networking website that was initially founded for Harvard students, by an active Harvard student. Go Pro - A digital camera maker that leverages social media and video to showcase the excellence of their products. Adele - A multi-platinum musician initially discovered on MySpace.com after uploading samples of her vocal talent. Your ideas or business are as worthy as any of these examples. But you need to set a goal and determine how you would like to connect with your audience; and then provide them with compelling useful content that supports that goal. ﻿Brand Power Saves the Day! You’ve done the dirty work; peddled products and services, provided studies about the greatness of your products, given away promotional hats and so on…You’ve done all the selling you can and the customer interest needle has barely moved. What else is left to do? It is now time to make the big sale! Break the glass and sell brand! But how about the same company showing a commercial that talks about the healthy nature of their ingredients and their dedication to quality while showing you images such as athletes exercising, glamorous exterior shots of the restaurant and proud workers standing shoulder to shoulder with the CEO. This unnamed company has just sold you their brand! Well played you say...Indeed. In the process of selling you their brand they have likely increased your trust in them exponentially. Once an audience buys into what a company stands for in regard to their values, their image and how they do business that audience is ready to give the products the benefit of the doubt. At this point they just need to be made aware of what your current products are and how they match their needs. Your job now is to showcase the product merits through video, print, web and so forth for the purpose of informing customers. Once you sell brand, it increases customer confidence in your actual products. Conversely your products and services must live up to the brand promise to maintain loyalty…or things will get messy. Do you have a website? Do you have a video? Do you have a blog? The battle to create more and more content rages on! To successfully stand out in a sea of quantity you must produce quality content that provides value to the audience. When they see your video, website or blog they must be pulled in and rewarded with useable information that provokes further thought. These tips are worth their weight in gold and I believe they will help your content shine over the pretenders! Most content that is shared is meant in some way to highlight the capabilities of the organization producing it. Think of it this way local newspapers (print or online) provide you with daily news stories, helpful articles, weather reports and so forth. They do this in hopes that you view them as a trusted resource for information. To position yourself or organization as a trusted resource make sure your content is relevant and helpful to your audience. Do this by considering what they need to hear versus what you want to tell them. Research the challenges your audience or customers face. Once you identify where they need help you can create directed content that lets them know you first understand their challenges and second that you are knowledgeable and able to provide helpful solutions. People like to be entertained! From the start of your video, blog, or article entertain your audience and spark their curiosity. You want them to continually have a sensation of “what’s coming next.” For written pieces your first touch point will be the heading. For video it may be the title and or the video intro. To create something that will entertain and captivate think of the things that stick out in your own mind that have grabbed your attention. Then consider how you can apply those principles to your own original thinking. Credibility is of the highest importance and it is built on honesty then trust. Don’t oversell your abilities or organization and do not provide factually inaccurate information. Our opinions and perspectives may vary but facts are universally accepted as they are. Your audience will see you as credible when you deliver truth even when it is difficult or does not benefit you. This builds trust. When they need a resource they know you will be straight with them no matter the circumstance. The world moves fast and people have limited time. The faster you can provide value to them the better. Before you present newly created content go over it at least once if not more to see where you can remove excess filler that does not accentuate the core message. Attention spans are short, keep this in mind! You can grab attention by being very good or very bad. We all want the first. While this takes more thought and more effort it pays off. Use strong, memorable visuals for your website, blog or videos. Iconic visuals spark curiosity and stick in our minds. The overall aesthetics of your content directly represent you and your organization. A less than professional video or image can be used in certain circumstances, but they should not be on the home page of a website or a published article. This reflects on your brand and says we are experts but we do shoddy work. Professional, creative and memorable will win the day! How many times have you needed a product or service but couldn’t find a company that offered what you needed?…Chances are there were several companies that had exactly what you needed but they were not visible and they were not accessible…Hence out of site…out of mind. This is bad for you the customer…this is bad for the “hidden” business. No winners here really…Part of the solution is to be visible, part of the solution is to offer purposeful high value products, and most importantly convey that your company and brand are of high integrity. That last one means something, few people buy from businesses they think are scammers. Increasing the visibility of a business will require increasing consumer awareness of who you are and knowledge of what you do. To convey these points to prospective customers means meeting customers where they are. Customers are people, the main places we are found is home, work and in public. This is where we are. There are two basic ways we all deliver messages, audibly or visually. If these methods are not being practiced regularly to reach customers you are out of their range of consideration...no one is buying anything! Since we know that customers are at home we know there is a good chance we can reach them through television advertising because 96.7% of U.S. homes have a television set. We also know that the majority of homes and businesses have at least one computer with internet access, so we can also reach consumers through online presence and advertising. Being online also increases our accessibility for customers to reach out to us. We can also promote through radio, print media, billboards, mailers etc. As a video guy I encourage embracing video for promotion and advertising. Reason being it has a high information retention rate of around 80%. If you deliver the right (or wrong) message it’s going to stay in the consciousness of the viewer. Think about it, have you heard of a Snuggy, a Ped Egg, Proactive, or Justin Beiber? These products and Bieber combined have sold over $2 billion to date. We are aware and knowledgeable of what these products do through TV & internet video advertising. Video allows you the opportunity to visualize what your brand represents to a large audience and how you can help them. This means something. Something that may equate to consumers buying into your brand. Also, word of mouth and networking are strong ways to reach people at work or in public. Using social media allows you to introduce your business to people who may be looking for your type of products. Using these methods in combination is a powerful way to increase your company’s visibility, accessibility, and brand equity with consumers. Leveraging these channels with a strategic vision and regularity is key to their effectiveness. Survival in business is based on the ability to effectively communicate important messages to specific audiences. For example if you need to inform potential customers of the quality & value of your products or services you need to communicate this to them. Such a message can be communicated through several channels including print (ad) or online (ad). However, given the proliferation and effectiveness of video I believe it should be considered when appropriate. Video allows you to deliver your message audibly and it allows you to use powerful visuals to reinforce the message you want the audience to digest. While hearing or reading a message can be effective the speed and depth at which the mind processes visual information is unsurpassed by comparison. In business speed matters, therefore having a message delivered and processed faster is a competitive advantage. If you are training associates to operate industrial equipment having them see how the machinery works will likely help them learn faster than simply reading the instructions. This is also true when trying to convey the essence of a company’s brand. Think of the commercials you see from companies such as Nike or BMW. When you see images of a pro athlete soaring to a basketball hoop in slow motion amidst thousands of fans and flashbulbs what do you think? When you see the road flashing by through the windshield of a luxurious BMW cockpit what do you think? I would say that you don’t think when these visceral images are processed in your mind, instead you feel. The viewing experience becomes emotional. You can see yourself as the pro athlete; you can see yourself behind the wheel of the exotic BMW. Once we have attached ourselves to something emotionally we can buy-in. Most products or services are purchased because they have been presented in a way that created an emotional link with the customer. Properly executed messaging & video places this power in the hands of small and large businesses. 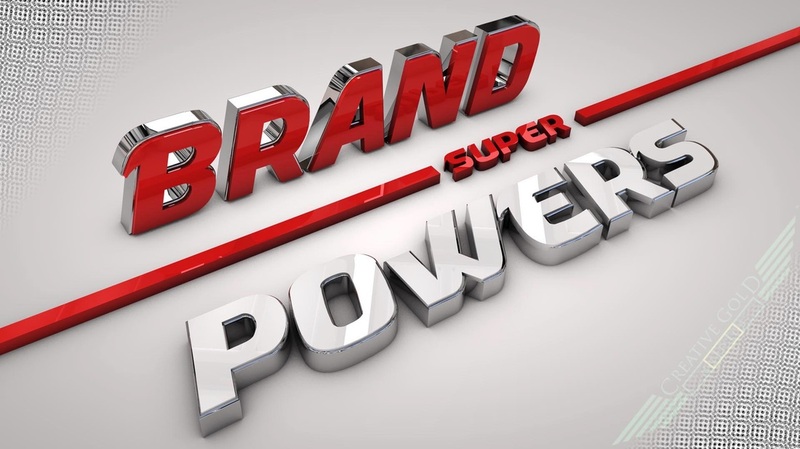 This power can be harnessed for branding, sales, recruitment and associate communications. The opportunities are near endless! Consider video for your business needs! I'm a creative professional who enjoys & produces cool video & film! I believe chocolate chip cookies should be free to all!